Between June and July chances are pretty good that you can get your hands on fresh blueberries, whether from a grocery store, a farm market, or your own backyard. People increasingly like blueberries for their nutrition and health benefits, but people have liked them for a long time just because they taste so good! Whether you prefer the larger, commonly cultivated highbush blueberries or the smaller, wild lowbush blueberries, you have many options for preserving the blueberry bounty. If you like to add whole berries overtop oatmeal or if you haven’t decided exactly how you’ll use them later, then you might want to simply can Berries – Whole using a boiling water canner. 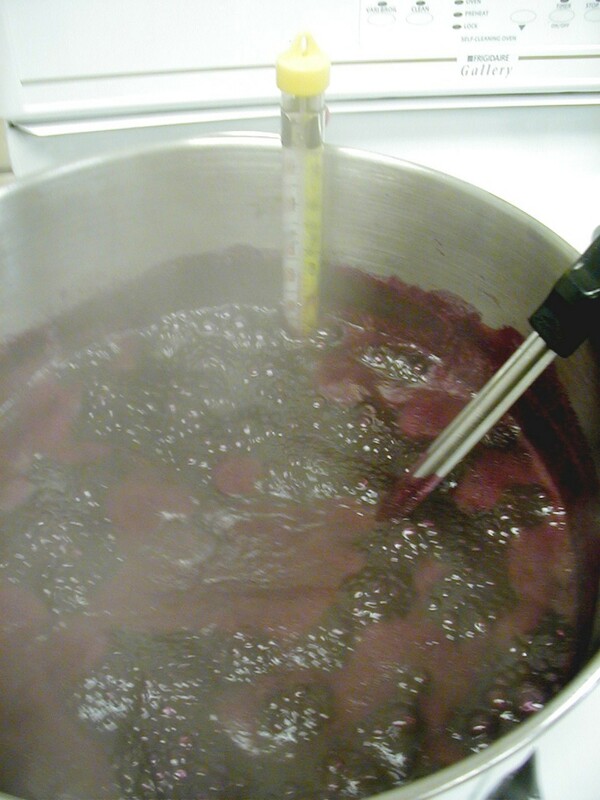 You have the option to add a sugar syrup or juice to further sweeten or flavor the berries, or you can just add water, as specified in the directions. 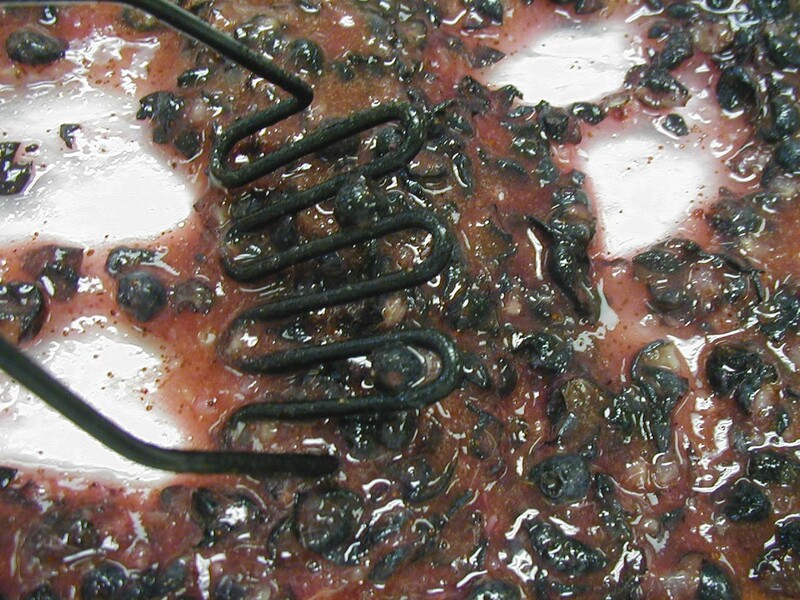 Berry Syrup can be made with or without the inclusion of whole berries, as recommended in the directions. First you will crush then strain a juice made of the berries (setting aside 1 or 2 cups of berries to add whole, if desired), then you will heat it with sugar into a thickened syrup. For a pie filling that’s ready-to-go into the oven any time of year, prepare and can Blueberry Pie Filling. For this recipe, you will need to plan ahead to make sure you have Clear Jel® available. Blueberries are lower in natural pectin than is needed to form a good gel-structure, so you’ll add commercial pectin or combine blueberries with another, more pectin-rich fruit to make blueberry jams. There’s nothing wrong with a plain Blueberry Jam, but you could also try these varieties of Blueberry Jams combined with other fruits and flavors: Blueberry-Spice Jam, Spiced Blueberry-Peach Jam, and Blueberry Currant Jam. A simple way to make those sweet berries last longer and remain versatile for purposes to be determined at a later time is to freeze them. 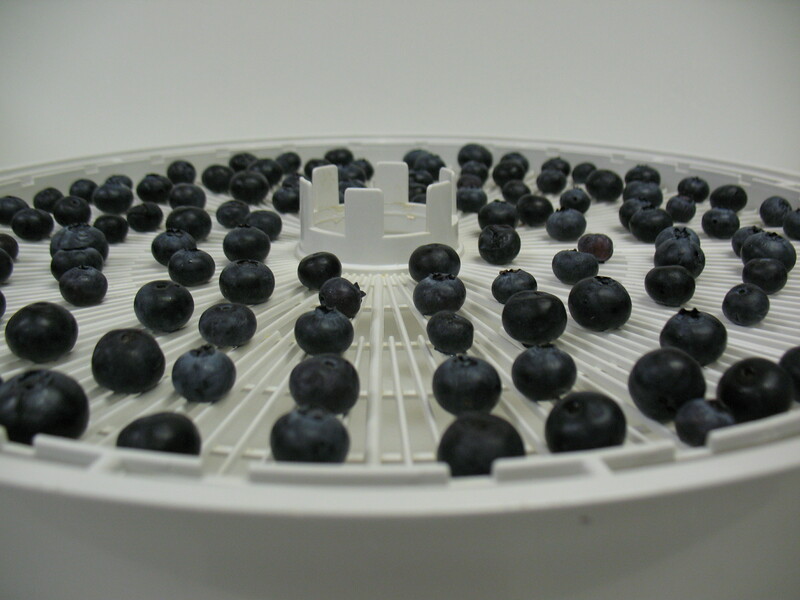 Freeze blueberries using the tray pack method for best results. Blueberries freeze well even without sugar added, and then you don’t have to calculate that amount of added sugar into your final recipe if you decided to cook or bake with them. Remember these General Freezing Tips for Packaging and Labeling Frozen Foods. 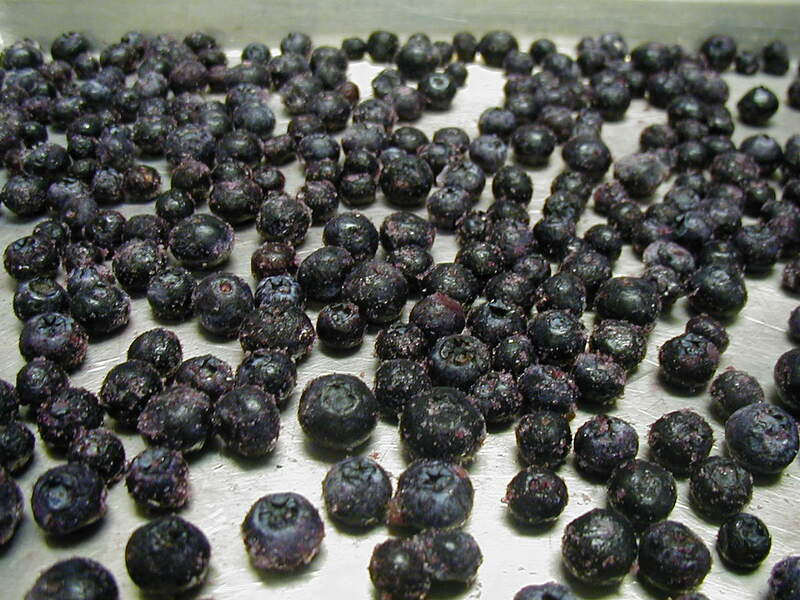 Last but not least, you could dry blueberries into a lightweight trail-side snack or granola ingredient. 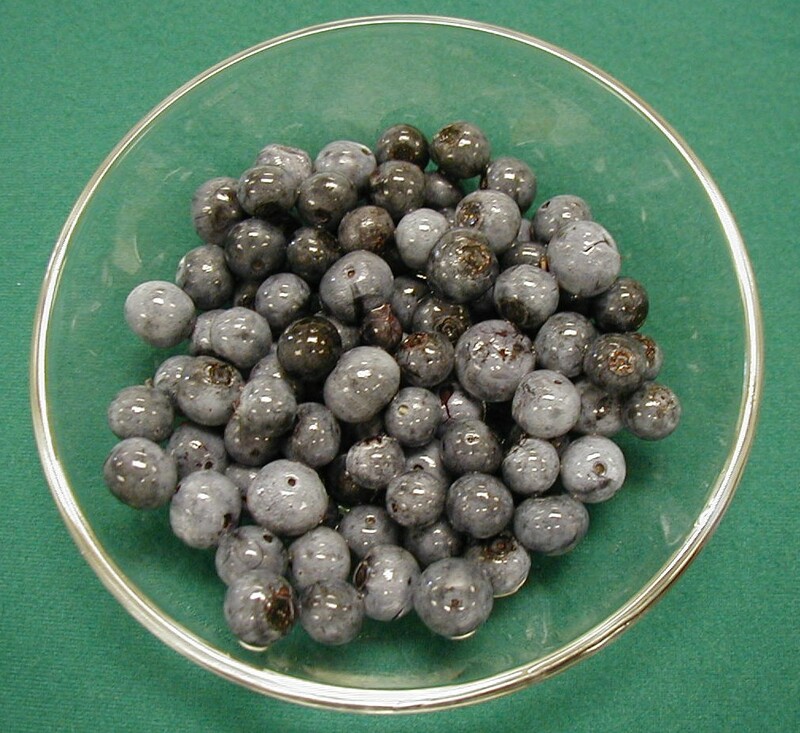 Just be sure to puncture the side walls of the berries so that they do not trap in moisture and get case-hardened (use a toothpick to poke all the way through each berry before drying). To learn more about blueberries, visit our University of Georgia blueberry page, and for even more about blueberries, check out the national eXtension blueberry site. 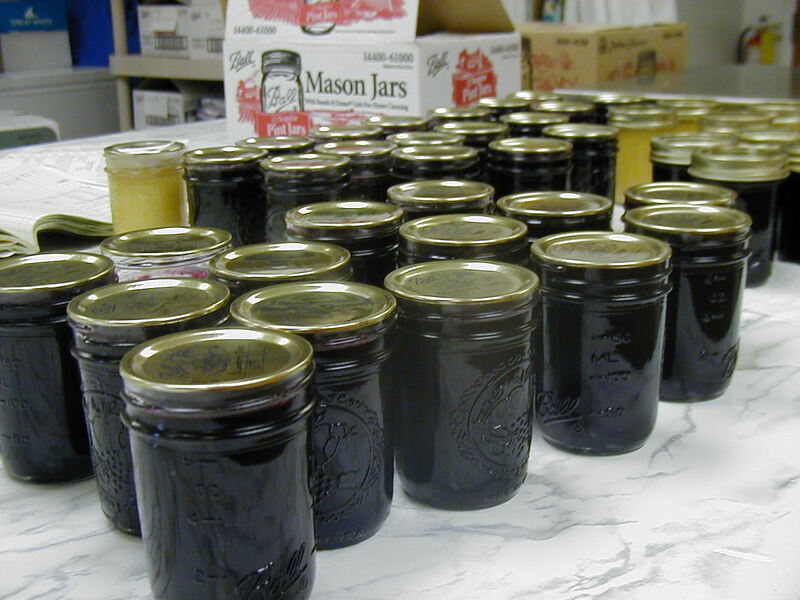 This entry was posted in Canning, Drying, Freezing, Jams and Jellies, Recipes, Seasonal Food Tips and tagged blueberry jam, blueberry jelly, blueberry pie filling, blueberry recipes, canning blueberries, drying blueberries, freezing blueberries on June 25, 2015 by nchfp.